SAKAJA LTD is dedicated to producing the finest products of the Turks and Caicos Islands. Their goal is to capture the indigenous herbs, fruits and vegetables known to the Islands and share them with the world. 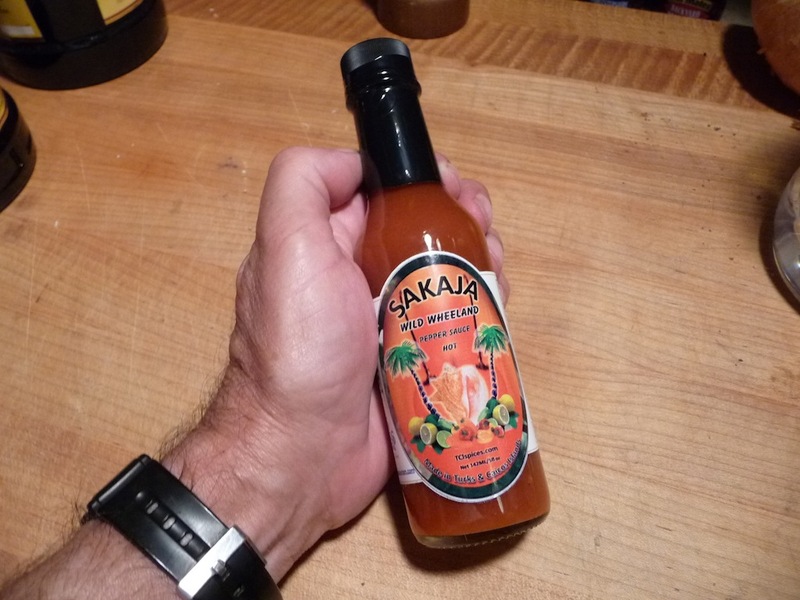 This review is a result of one of those great connections that we’ve made between a reader of this blog and their favorite hot sauces. 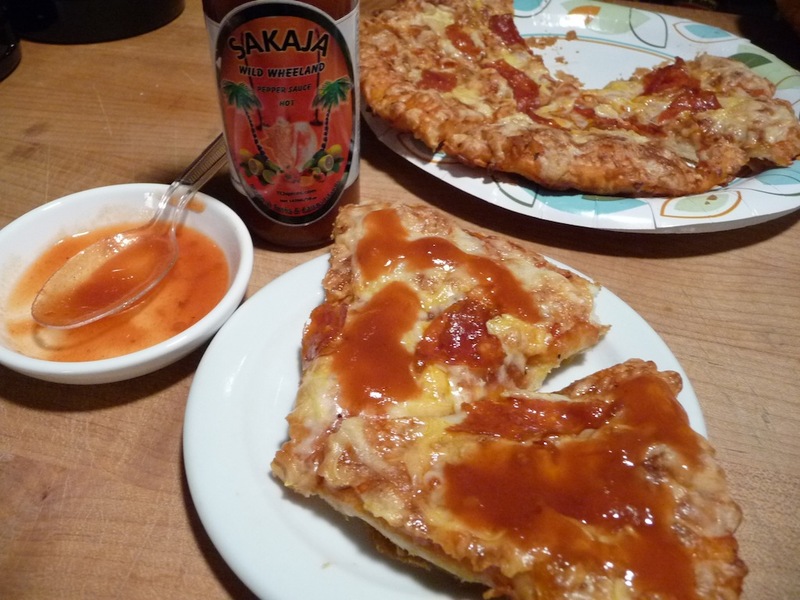 We have to thank Tanya Z. for hooking us up with Delano Handfield of SAKAJA Pepper Sauce from the Turks and Caicos Islands. Delano and I spoke by phone, just as he and the Islands were about to get into their “tourist” season (November thru February). Delano spoke about his passion for creating fresh tasting sauces using local ingredients. 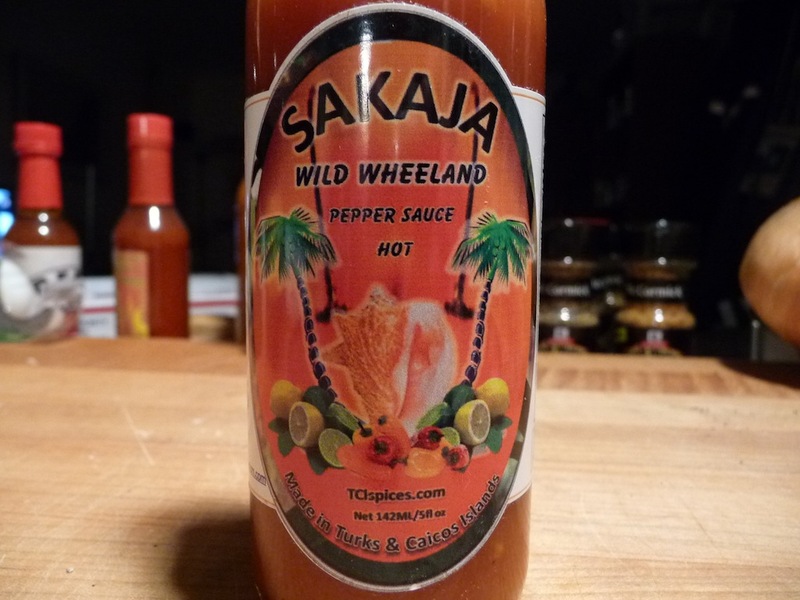 If his Wild Wheeland Pepper Sauce is any indication of the flavors and quality Sakaja uses, then they have a winning lineup. Ingredients: distilled vinegar, citrus, sugar, salt, Scotch Bonnet Peppers, all natural flavoring. Texture & Appearance: Bright red in color, this slightly thin sauce has some bits of pepper skins and seeds and citrus floating about. It coats the sides of the bottle in a nice clinging kind of way. Taste Straight Up: Silky sweet at first, the coy, light-hearted flavor belies the fiery heat that lies within it. The sweetness is followed quickly by a full mouth and back of throat burn from the Scotch Bonnet peppers. Label/Graphics: While their line of 6 sauces sport some varying and colorful labels, there is nothing remarkable here – there is a conch shell between two palm trees, surrounded by an array of citrus fruits. Lemons and limes hint at the light citrus flavor within. It’s pretty clear these are “island style” pepper sauces. (The label I have may be out of date – the website listed no longer functions, and I think Delano told be some new designs are in the works). Heat Level: Clocking in at 100,000 – 350,000 Scoville Heat Units, the Scotch Bonnet Pepper is similar to its cousin, the Habanero, only with a more sweet, fruity flavor. Which describes this sauce and its heat level almost perfectly. The Scotch Bonnet Pepper is no tame kitty. I do feel the heat level is short-lived though – adding to the sweetness and useful appeal of this sauce. 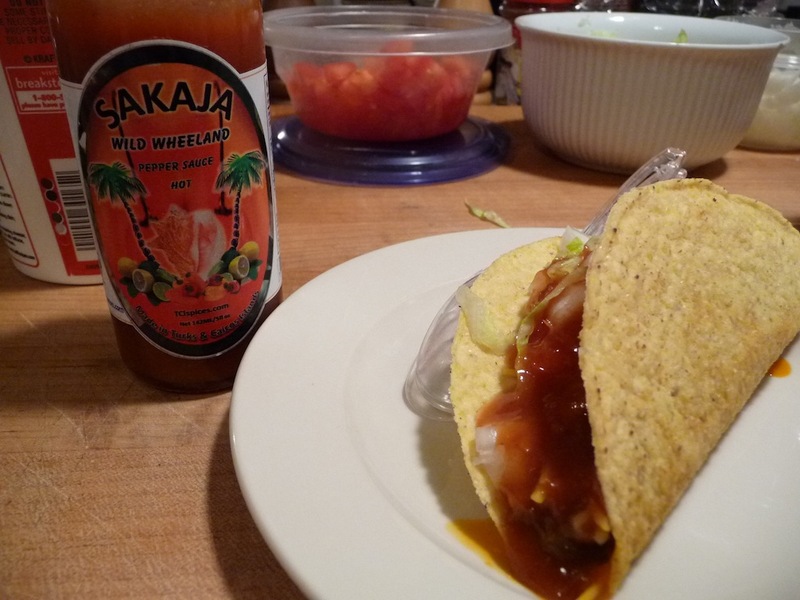 Final Thoughts: Wild Wheeland Pepper Sauce made for a very hot taco sauce. I thought it was much better on pizza. 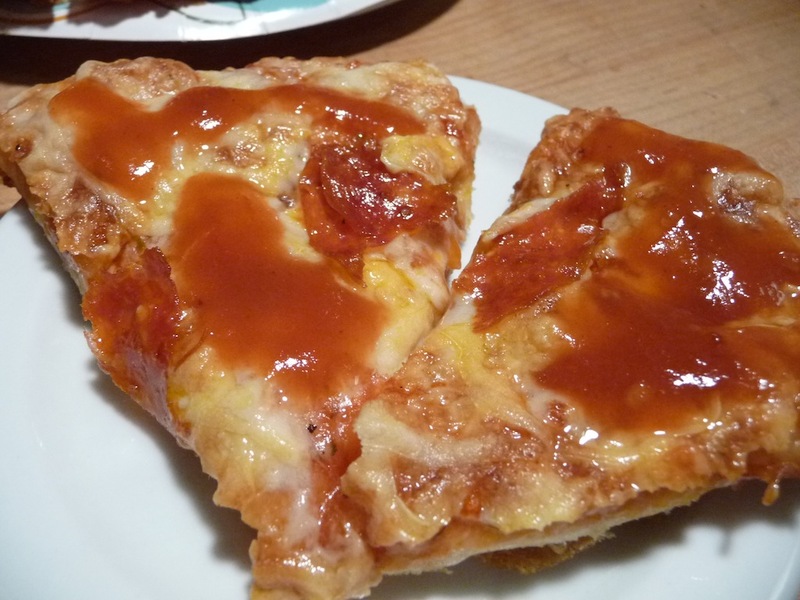 I love a sweet-then-heat sauce on my pizzas. Heat: 3/5 – While certainly not up the the superhots category, the classic taste of the Scotch Bonnet really comes through. Overall: 4.5/5 – Deliciously sweet with heat, the great flavor and quality ingredients make this sauce a top pick in our book! 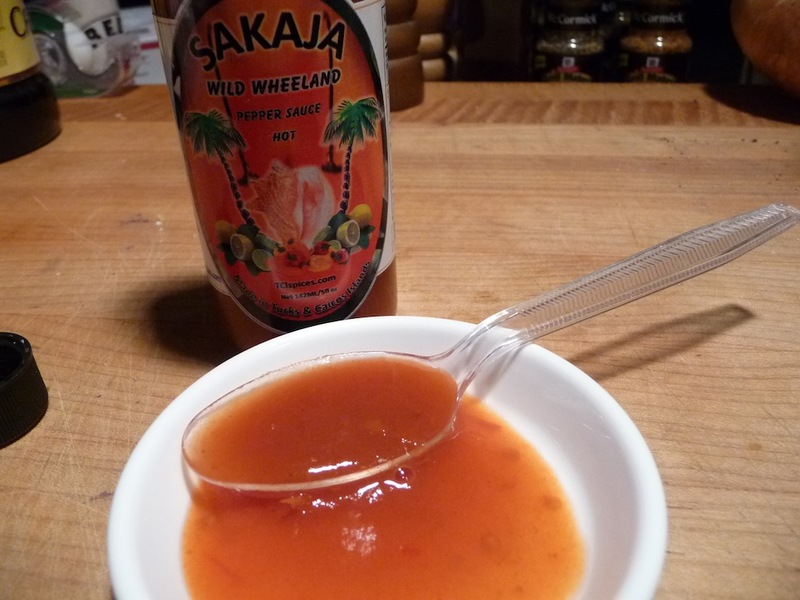 Wild Wheeland Pepper Sauce is one of six sauces created in the Turks and Caicos Islands by SAKAJA LTD. Visit them at http://sakajaltd.com to purchase this and their other sauces. And be sure and tell Delano that HotSauceDaily sent you. You can’t do a “hot sauce” search on Google lately, without getting hits about the legendary D.C. Punk Band, “Bad Brains” and their bassist Darryl Jenifer and guitarist Gary “Dr. 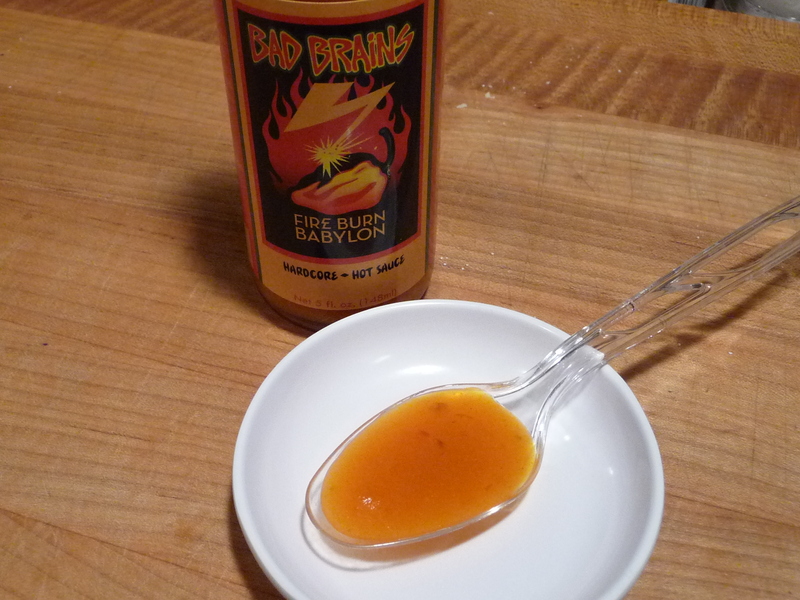 Know” Miller’s new hot sauce venture – Fire Burn Babylon. They’re already ahead of the game by having Heartbreaking Dawns package and distribute their sauce. And the flavor trumps heat here. 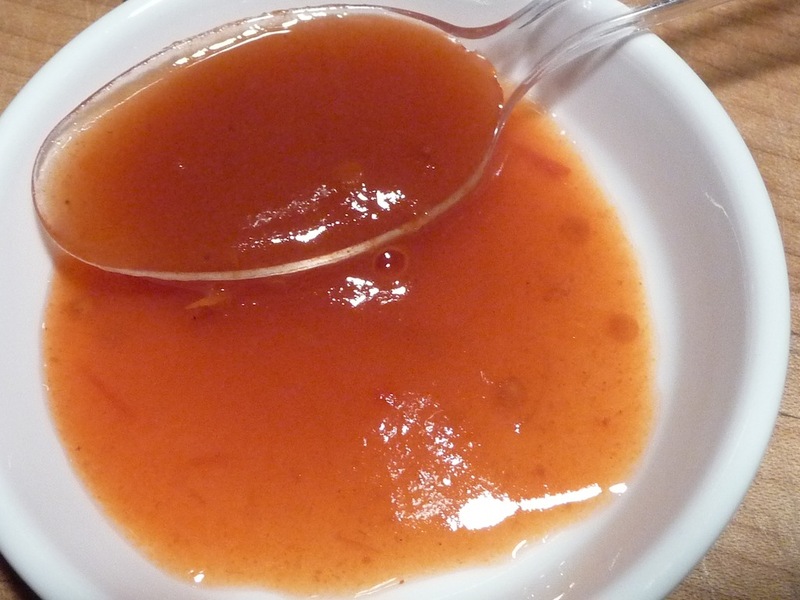 It’s an amazing, not-so-hot, flavorful sauce from a hard-core band of misfits. Who knew?